When two exceptional products come together, the outcome can be nothing but sublime and surprising. AVINENT CAD-CAM has launched AURORA complete titanium structures onto the market, a revolutionary product in 3D printing applied to the dental prosthetics sector and aesthetic solutions. At the same time, the German company VITA has, amongst its range of materials, two high quality products that fit perfectly with the AURORA structures: ENAMIC and VITA VM LC. Together, AVINENT and VITAhave demonstrated that the AURORA structures are a customised product of surprising quality, unique on the market. Now, the two companies have also proposed the public demonstration of the virtues of combining the two products to clinics and laboratories and to teach professionals the methods and steps to follow to achieve the best results possible for customised prostheses. In light of this, AVINENT, together with VITA, has organised some practical workshops that will be offered for free throughout Spain. The training tour is expected to start in Manresa, and will be repeated in Murcia, Bilbao and Madrid. The workshops, aimed at both clinics and prosthetics laboratories, are designed as a hands-on training opportunity, allowing professionals to handle and work with the AURORA structures and finish them off themselves with VITA materials. The workshops have been planned in recent months by AVINENT CAD-CAM and VITA technicians with the help of renowned prosthetic technicians from around the world. Working side by side and with the utmost care, representatives from both organisations have designed the ideal steps for finishing off these fixed prostheses that are unique on the market, the best way to teach professionals from the sector and the specific samples that will be used in the sessions. The aim is for professionals to learn the virtues of these revolutionary products and discover first-hand the process to follow to finish both an AURORA PREMIUM structure with ENAMIC material, and an AURORA COMPOSITE prosthesis with VM LC material. Remember that AURORAs are complete and customised titanium 3D printed structures. The manufacturing method results in a naturally surface roughness that is ideal for retaining the coating materials. Moreover, its lightness and reduced rigidity make the structure more comfortable in the patient’s mouth. These structures also include a series of meshes, which also facilitate the adherence of coating materials. AVINENT CAD-CAM has developed three different types of the AURORA solution: PREMIUM, which consists of a main structure in titanium and an upper anatomical structure which has been milled to ensure a perfect fit; COMPOSITE, designed for the end of the structure with a liquid composite material which perfectly adheres to the structure thanks to its roughness; and lastly the AURORA ACRYLIC, which allows the laboratory to customise the retainer areas of the main structure so that acrylic teeth adhere properly and do not subsequently fall out. On the practical course, attendees will have the opportunity to work with and handle AURORA PREMIUMand AURORA COMPOSITE structures. More specifically, they will finish off the AURORA PREMIUM with VITA’s ENAMIC, a ceramic hybrid, in both the mono-colour and multi-colour versions, which allows for a natural chromatic transition. The VITA ENAMIC material has a high shock-absorption capacity and therefore, is very comfortable for the patient. The AURORA COMPOSITE structures will be finished off with VITA’s VM LC material, a composite of photopolimerisable microparticles which are easy to manipulate. The one-day training workshops will be offered in four different venues in Spain. The first will take place on 18 October in Manresa; the second on 29 November in Murcia; the third on 31 January in Bilbao; and the last one on 14 February in Madrid. Registration is free. The initial part of the course will be given over to an introduction of the AURORA and VITA products, with special emphasis on structure design and patient advantages, while the second part will have attendees focusing on finishing an AURORA prosthesis with VITA materials. and center” in the dental industry. Dale Dental and I felt like I was helping family when i worked with every one of our customers. challenges Lesh sees them most regularly face. American Academy for Cosmetic Dentistry and many regional dental lab meetings. Building on its existing partnership, the companies will offer affordable additive manufacturing solutions to dental labs around the world. REDWOOD CITY, Calif. & MAARTENSDIJK, Netherlands–(BUSINESS WIRE)–Carbon (www.carbon3d.com), a Silicon Valley-based digital manufacturing company, and Core3dcentres® (Core3d), a global company committed to leading the dental industry into the digital era by providing dental production and design solutions, today announced the international expansion of their existing and trusted partnership. By expanding their collaboration into countries spanning four continents, dental labs across the world will now have access to Carbon’s groundbreaking 3D printing systems based on its proprietary Digital Light Synthesis™ technology and unparalleled range of materials. This comes at a time of massive growth for 3D printing in the dental market – which, according to a 2018 report from SmarTech Publishing, grew by over 35 percent for the second year in a row, and will continue to grow at a dramatic pace in the coming years. 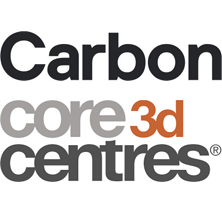 To capitalize on the growing market opportunity, Core3d and Carbon have agreed to expand their enterprise partnership to countries around the globe, enabling the delivery of Core3d and Carbon printed products to Australia, Benelux Union (Belgium, the Netherlands, and Luxembourg), Canada, Croatia, Germany, Japan, Malaysia, New Zealand, Poland, Singapore, Spain, the U.K. and the U.S.A. Timing for expansion into new countries will be dependent on regulatory requirements and approval. With the ability to produce end-use parts quickly, accurately, and consistently using Carbon’s additive manufacturing technology, Core3d has made products such as surgical guides and dentures more affordable across the board. This democratizes 3D printing technology for all types and sizes of dental labs, which look to Core3d to help them manufacture parts they can’t or don’t have the resources to produce in-house. For Core3d, Carbon has also improved turnaround time and the diversity of its offerings. Carbon offers a revolutionary alternative to 3D printing, using light and oxygen to rapidly produce high-quality, end-use products from a pool of resin. Its robust and reliable family of 3D printers based on proprietary Digital Light Synthesis technology, coupled with its broad portfolio of materials, deliver a complete solution for all dental production needs. Carbon’s solution significantly improves efficiency and accuracy, reduces time from design to manufacture, and provides important features such as part traceability and serialization through next-gen software design tools. With Carbon, everything is digitally traceable, down to a unique ID that can automatically be engraved or embossed on any part. This capability is particularly valuable for highly regulated industries like dental, where the FDA will increasingly require part-specific data to ensure product performance and patient safety. Further, Carbon’s unique subscription-based service closely aligns the company to its customers’ business success. By providing regular over-the-air software updates, continuous education and training programs, and one-to-one customer service and support, Carbon ensures every customer’s business is always up and running. 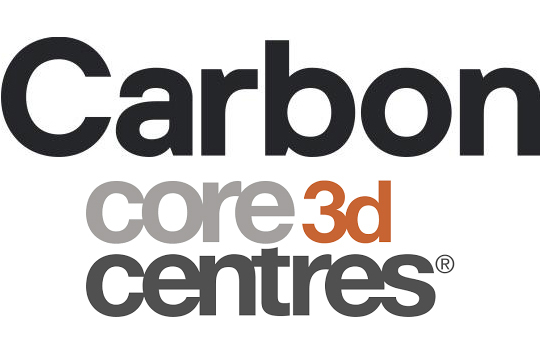 For more information, visit www.carbon3d.com and www.core3dcentres.com. Represented on the four continents, Core3dcentres is a global company that is committed to leading the dental industry in the digital era. We believe in excellence in dentistry and patient care. By personalising digital technology, we provide a complete work-flow and production solution, making the benefits available to everyone, resulting in a partnership for success. Furthermore, we are a company with a fast-growing presence in the international marketplace, reflected in our rapidly expanding customer base and workforce, a worldwide professional network, and a constant exchange of knowledge through our leading-edge training and educational programmes. All these aspects make Core3dcentres the global leader – consistently embracing, adapting and applying the benefits of the technological shift to digital dentistry. Our locations: Australia, Benelux Union (Belgium, the Netherlands, and Luxembourg), Canada, Croatia, Germany, Japan, Malaysia, New Zealand, Poland, Singapore, Spain, the U.K., and the U.S.A.
Carbon’s mission is to reinvent how polymer products are designed, engineered, manufactured, and delivered, toward a digital and sustainable future. Based in Silicon Valley, Carbon brings together innovations in hardware, software, and molecular science to deliver industry-leading digital manufacturing solutions. With Carbon’s ground-breaking Digital Light Synthesis™ technology and broad family of programmable liquid resins, manufacturers can unlock new business opportunities such as mass customization, on-demand inventory, and previously impossible product designs. Carbon’s solutions allow customers to build uniquely differentiated products while reducing waste and speeding time to market. To learn more, visit www.carbon3d.com. Harvest Dental Products is now certified to the latest global quality standard, ISO 13485 MDSAP (Medical Device Single Audit Program). This certification verifies that an organization meets or exceeds the stringent quality management requirements of the regulatory bodies in U.S., Canada, Europe, Brazil, Japan and Australia for medical device manufacturing. To achieve this status, Harvest had to thoroughly document all its processes and then pass a comprehensive, four-day audit to demonstrate the effectiveness of its quality management systems. “Our team worked tirelessly for about seven weeks, documenting everything from purchasing to manufacturing, from assembly to final shipping. But, in reality, we’ve been working toward this certification for years, starting with the ISO 9001 certification we achieved in 2009,” says Stacey Putney, Director of Operations. Founded in 2004, Harvest Dental has become one of the fastest growing consumable brands in the world and is now distributed in 60 countries. “Conceived to disrupt status-quo ways of thinking, we design charismatic and inspired products with a focus on being relevant, rather than preferred,” says Der Avanessian. To learn more, visit harvestdental.com. FDA market clearance means USA dental professionals can now use 3Shape Clear Aligner Studio software to produce clear aligners in-house. Copenhagen, October 24, 2018 – 3Shape announces that the U.S. Food and Drug Administration (FDA) grants 510(k) USA market clearance for the 3Shape Ortho System clear aligner workflow. 3Shape Clear Aligner Studio guides professionals through the case analysis, setup and staging, and export to print for production. Using simple and intuitive workflows, the software provides analysis of arch shapes, overjet/overbite, Bolton ratios, occlusion and spaces. From there, virtual setups can be created and subdivided into the clear aligner stages needed. Attachments and interproximal reduction can also be added to the treatment plan and when planning is complete, sub-setups can be prepared for printing. Production files can be exported for 3D printing and vacuum forming. The software is compatible with a wide range of 3D printers. “Around the world, hundreds of thousands of clear aligners are produced every year using 3Shape Clear Aligner Studio. It is very exciting that USA professionals now have the same opportunity to take total control of their design, budgeting and production of clear aligners,” says Allan Hyldal, Vice President of 3Shape Orthodontics. Like all 3Shape solutions, 3Shape Clear Aligner Studio is open. Professionals are free to decide how much of the workflow they want to do inhouse and/or seamlessly send to design and production partners. ROCK HILL, South Carolina and KOBLACH, Austria, October 22, 2018 – 3D Systems (NYSE: DDD), the originator of 3D printing, and Amann Girrbach, a leading supplier of digital dental prosthetic solutions, today announced that Amann Girrbach will be integrating 3D Systems’ NextDent™ 5100 3D printing solution into its Ceramill® System digital dental workflow. This will allow the Austrian-based company, which has partners in over 90 countries worldwide, to offer its thousands of dental lab customers an expanded integrated solution that combines dental-optimized 3D printing with its suite of CAD/CAM software, digital milling and testing equipment. Powered by 3D Systems’ proprietary Figure 4™ technology, NextDent 5100 is a complete 3D printing dental solution that produces precision trays, models, surgical guides, dentures, orthodontic splints, crowns and bridges at print speeds up to 4x faster and at significantly reduced cost compared to competitive systems. It supports the industry’s most extensive dental materials portfolio with 30 unique biocompatible and CE-certified NextDent materials available to cover a broad range of dental applications for lab managers, dental technicians, dental prosthetic technicians and clinical prosthodontists and orthodontists. 3D Systems 3D Sprint™ software provides a single interface for file preparation, editing, printing and management, and is now fully integrated with the Ceramill CAD/CAM workflow. Amann Girrbach, one of the leading innovators and full-service provider in digital dental prosthetics, is championing the cause to enable a complete in-house process chain for its customers. As a result, labs profit from perfect quality frameworks, but also from efficiently arranged workflows, reproducibility and dependable processing and a sophisticated CAD/CAM material range. Thus, the Ceramill CAD/CAM system is one of the most versatile and technically adept on the market which incorporates 35 years’ experience and know-how in CAD/CAM. The high degree of inhouse production spanning the product idea up to final assembly allows Amann Girrbach to adapt its systems to economic and dental-specific requirements right from scratch. Get more information about Amann Girrbach at www.amanngirrbach.com. 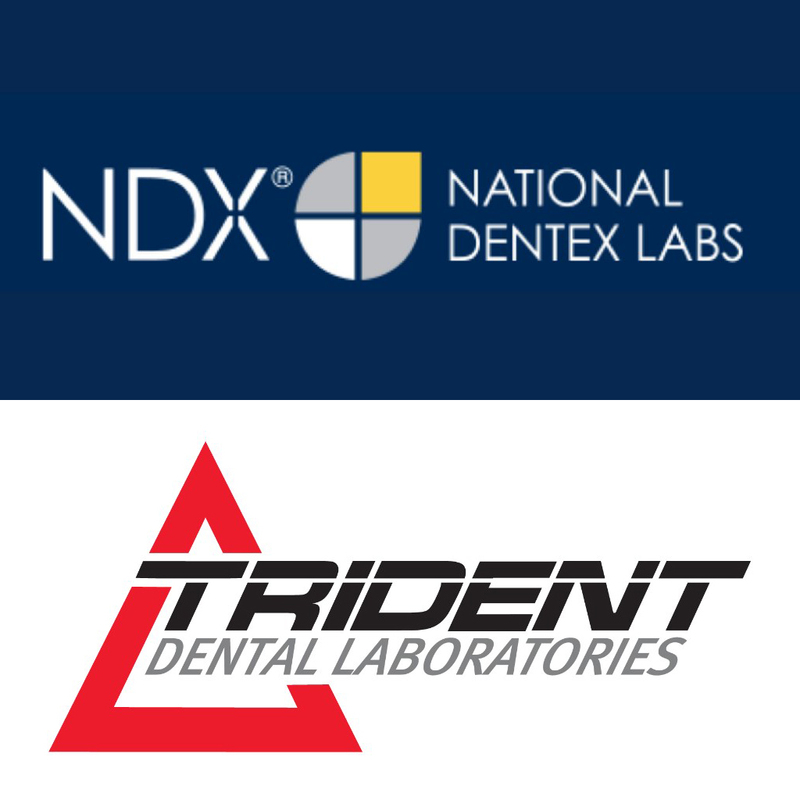 PALM BEACH GARDENS, Fla.–(BUSINESS WIRE)–GDC Holdings, Inc., which owns National Dentex Labs (NDX), today announced it has acquired Trident Dental Laboratories, headquartered in Hawthorne, California. 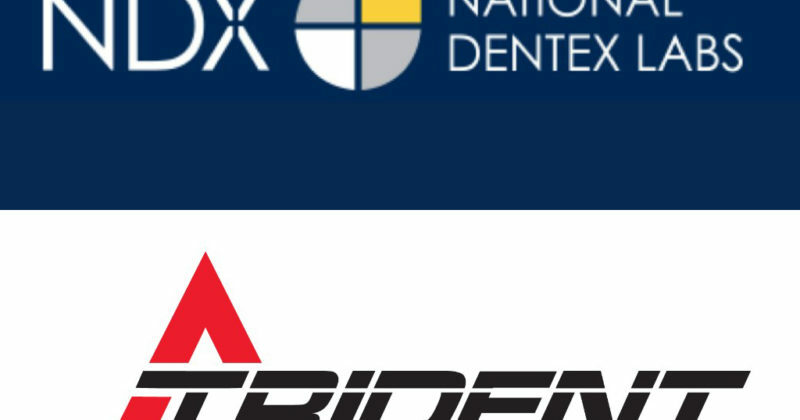 While NDX and Trident will continue to operate independently, their combined offerings, at a variety of price points, provide superior restorative dentistry options and further advance NDX’s leadership position in the dental lab industry. With a 30-year history as a proven full-service manufacturer and distributor of dental prosthetics, Trident’s established national distribution channels expand the reach of NDX’s network of more than 30 dental labs across the US, mostly serving local markets. With continued investment in digital technologies as well as the corresponding customer care and service capabilities, NDX, along with Trident, advances its position as a leader in digital dentistry. A commitment to using only best-in-class technology means more options and offerings that are cost-effective for dentists yet deliver the best treatment outcomes for patients. With a combined team of nearly 3,500 professional and technical employees, the dental labs of GDC Holdings specialize in superior-quality crowns, bridges, dentures, dental implants, appliances and orthodontics, as well as headache and sleep therapy products. NDX will maintain its headquarters in Palm Beach Gardens, Florida, while Trident will continue to operate out of its Hawthorne, California facility. National Dentex Labs, LLC (NDX) is a leading provider of dental prosthetics and restorative dentistry products. With a network of more than 30 full-service labs across the US, NDX is committed to providing top quality products and highly personalized service. Using the most advanced dental restoration techniques and technologies, NDX offers crowns and bridges, implants, appliances and orthodontics, as well as headache and sleep therapy products. GDC Holdings, Inc., is a private equity-sponsored entity and the owner of National Dentex Labs. For more information, please visit www.nationaldentex.com. Recognized as a pioneer in the dental industry, Trident Dental Laboratories is a full-service lab offering today’s most in demand crown and bridge restorations and removable dental prosthetics. The company’s advancements in digital technology and mastery of high-quality restorations continue to leverage its capabilities and remain ahead of the competition. Trident celebrates 30 years of unwavering commitment to innovation and excellence delivering consistent quality, dependable service and exceptional value to dentists nationwide. For more information, please visit www.tridentlab.com. Diego Gabathuler will become the new CEO of Ivoclar Vivadent AG. He will succeed Robert Ganley who has led the company since 2003. Mr Ganley will continue as a member of the Supervisory Board. Ivoclar Vivadent has announced a change in the company’s top leadership: Diego Gabathuler, Head of Sales EMEA & Latin America, has been appointed as CEO of the Ivoclar Vivadent Group, effective 1 July 2019. The marketing and sales expert from Switzerland has worked in various capacities for the dental company headquartered in Schaan, Liechtenstein. Before joining Ivoclar Vivadent, Mr Gabathuler held a number of leadership and management roles with Logitech, Activision and Electronic Arts in Europe and the US. Over his 15-year tenure as CEO, Robert Ganley, an American citizen, has significantly contributed to developing the family-owned company into one of the leading players in the dental industry. In June 2018, Mr Ganley was appointed as a member of Ivoclar Vivadent’s Supervisory Board and will continue in that position when he steps down as CEO. Mrs Christina Zeller also joined the Supervisory Board last June. The primary focus of Mrs Zeller will be to represent the interests of the Zeller family on the Board and continue leading Ivoclar Vivadent’s Corporate Social Responsibility efforts. After 13 years as CEO and 29 years in the position of Chairman of the Supervisory Board, Christoph Zeller has decided to step down as Chairman of the Supervisory Board. Mr Zeller will continue to serve on the board and will monitor the strategic direction of the company. “We have many talented and dynamic employees in our company, and we are empowering them to provide a fresh view and continue the success story of Ivoclar Vivadent,” says Christoph Zeller. Mr Zeller will be succeeded by Helmut Schuster, an Austrian-British businessman who has been a member of Ivoclar Vivadent’s Supervisory Board since January 2015. Mr Schuster is an economist by training and brings a wealth of international experience from his career as a global executive in the energy industry and his current and previous engagements in other business ventures. Ivoclar Vivadent has wholly-owned subsidiaries, marketing and sales offices, as well as 36 training centres, in 25 countries across the world. The company markets its innovative systems solutions for dental and laboratory professionals in 120 countries. It employs around 3,600 people worldwide, 900 of them work at the company headquarters in Schaan. San Diego, CA., June 28, 2018 – The Argen Corporation has announced that they have acquired Dale Dental Lab, based out of Texas. “Dale Dental Lab’s business model shifted from lab-to-lab to lab-to-dentist under a new name, YDL Concert Dental Lab. Since Argen works exclusively with dental labs, it was an excellent match and opportunity for Argen to acquire the lab business,” said Michael Clark, Argen Senior Vice President, Domestic Sales. The multi-phased transition will take place over a 30-day period. 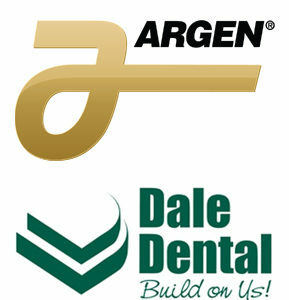 Dale Dental Lab customers can send models to Argen for case design and restoration manufacturing. Questions about the acquisition or transition can be directed to Michael Clark, Argen Senior VP, Domestic Sales (mclark@argen.com). June 21, 2018 – According to a now-deleted thread on the popular dental lab-related forum ‘dentallabnetwork.com’. 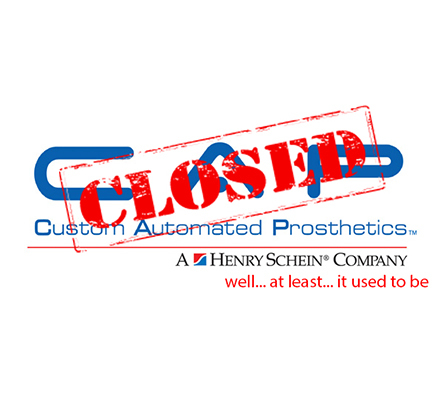 Custom Automated Prosthetics, known as CAP is to be closed July 6th, 2018. (Updated June 22, 2018 through official statement from Henry Schein:) CAP Milling has been renamed ‘CMC Stoneham’ and CAP Milling and CMC Milling will be merged into a single location in Golden, CO.
– Assembled a team of digital dentistry experts to develop the CAP Complete CAD/CAM solution combining off-the-shelf products with CAP’s proprietary intellectual property. 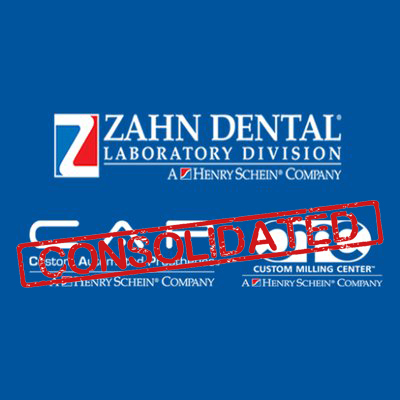 CAP had grown dramatically since its founding in 2010 to their acquisition in 2016, becoming a part of the Zahn Dental business at Henry Schein. At the moment, no details have been released about how current customers will be handled, although there is speculation that all business will be directed to Henry Schein’s other milling center: CMC. Details of how Roland customers along with how their existing service agreements will be honored have not been clarified either. Stick with DentalTechTips for more updates! Are all employees and services being moved to CMC? Or will it only be the sales force and everyone else being sent home? * We encourage team members at the Stoneham Milling Center to apply for open positions in Stoneham. Opportunities are available in a variety of areas, including training, technical support, repair/service, and in the warehouse. The team has also been encouraged to apply for open positions in Golden, pending they are willing to relocate. As a result of our proactive dialogue with Team Schein Members, some of these positions have already been filled. We look forward to working with the team to fill additional roles that will help contribute to their personal career growth, Zahn’s continued expansion and the success of our customers. What % of employees are expected to be let go? Questions regarding existing milling customers and Roland service agreements were not addressed.